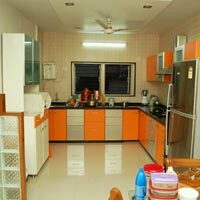 We are known as the reliable Supplier of Modular Cabinet. 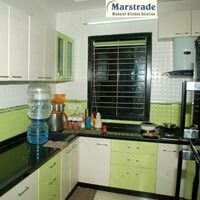 We can provide Modular Kitchen Cabinets for both base as well as wall in the Marine Ply, MDF & Particle Board option. 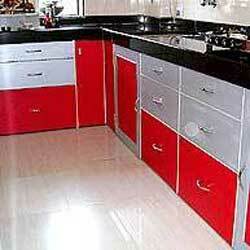 We specialize in offering these Modular Kitchen Cabinets in standard sizes as well customized sizes. 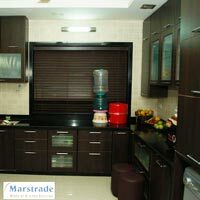 Our specialization lies in providing PVC Modular Kitchen Cabinets which are ideal for the place where humid is a major problem. 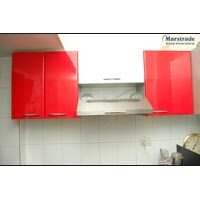 Our kitchen cabinets come in Both Side White Lamination and one side color as per customer choice. We hold specialization in catering according to the customerâ��s specific requirements.